In the short psychological thriller Beulah (Denise Alessandra Ambroggio and Gordon James Asti, 2017), an emerging actress names Mia attempts to understand her fears in the days before the opening of her play. At night, she seems plagued by dreams that her boyfriend is attacking her, that her director is a Machiavellian monster, and that she can never escape being lost in the woods. Despite all these fears, everything appears to be going her way, and so she begins to feel more and more unnerved when can’t account for these feelings. BEULAH is at its best when it thins the lines between the stage, film, and real life. 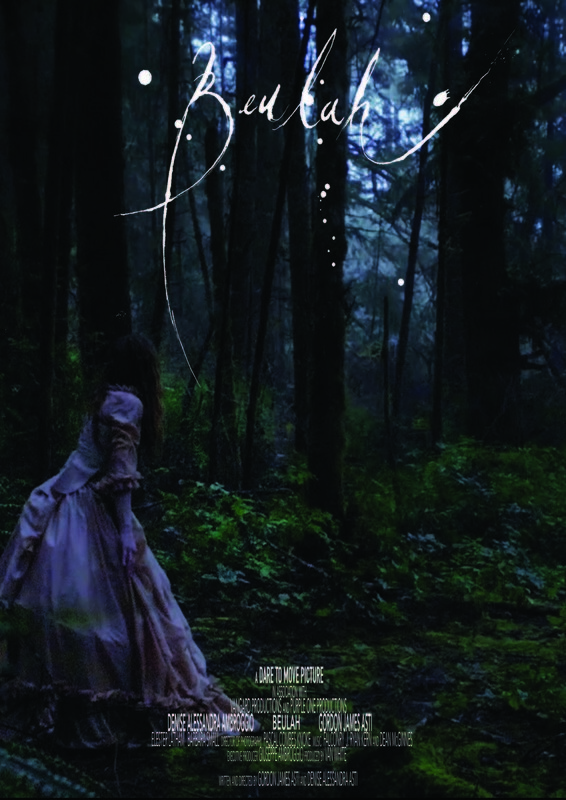 Mia switches from the pink, fake, wonderland forest of the stage to a more dark, imposing forest as she moves from reality to dream—at certain times, her dreams appear to be in the milieu of the real world when she is not. The same slipperiness occurs as well. Later in the film, it shows us a scene of Mia’s boyfriend screaming threats on the telephone. As the camera pulls back, however, we learn he’s merely portraying a character in a film. And this makes sense: filmmaking and the theatre are in and of themselves surreal by design. Each gives viewers an uncanny sense of reality not through mimetic representation but through the ability to illustrate a mode of truth and reality through metaphor. However, this slipperiness also proves to be BEULAH’s greatest challenge. While its milieus are fabulous and strange, we don’t necessarily know enough about Mia to sustain her character arc. Mia remains opaque throughout the film; all her dreams tell us that she is afraid, but they don’t necessarily explore why, at least, not to the extent that we understand them. In her boyfriend is cast as the main villain, yet he is nothing but sympathetic to her career and her person in real life. Is she jealous? Does he have an evil side? The film never tells us. Nevertheless, BEULAH embraces some of the most interesting traits of surrealism and links them to the historical importance of Italian theater. In its world, the theater, the dream, and reality are all part of a continuous system through which its character navigate. And, like life, can take both disastrous and magnificent turns.